I went off the rails last week at Nordstrom. Literally. I remember two years ago around Fall, I saw these beautiful plaid shirts by the brand Rails and immediately thought, okay I'll get one. They can't be more than 100 dollars right? Wrong! They are in fact a bit pricey, so I decided to try my luck at finding a good dupe. The problem was, I wasn't satisfied with what I found, and often the fit was off. Fast forward to my trip last week to Nordstrom, when the SA brought me the holy grail of plaid/flannel/modern day 90's grunge rock uniform. I touched it you guys. I touched this perfect plaid shirt and I knew I was dead, I knew my bank account was in for a huge dent. So I tried it on, and it was like slipping into a cloud. The softest fabric I have felt in a long time. I had to have it. Even though I was on a mission that day to find Summer clothes, I couldn't pass up my Kurt Cobain loving fantasy. Even Nate loves it (I think he wants to wear it himself). Which is definitely odd because my style is feminine. To make it more girly, less boyish for my taste, I added a lace camisole underneath and voila...boy meets girl. 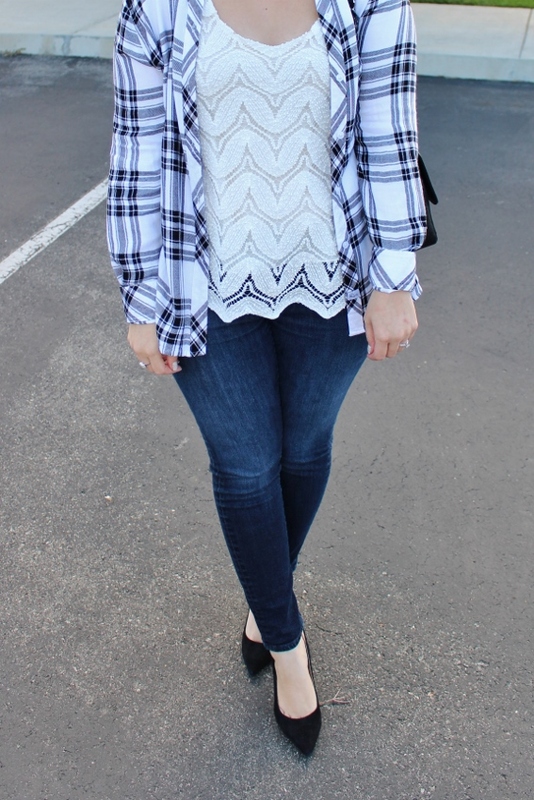 I love plaid and I love lace, but I've never paired the two together - such a great idea - you look fab!!! Very nice! I'm not much of a plaid girl though so I think the one I have will do :) Thank you Zeba! This makes me laugh! Sometimes you just have to fork out the bucks for something you love. 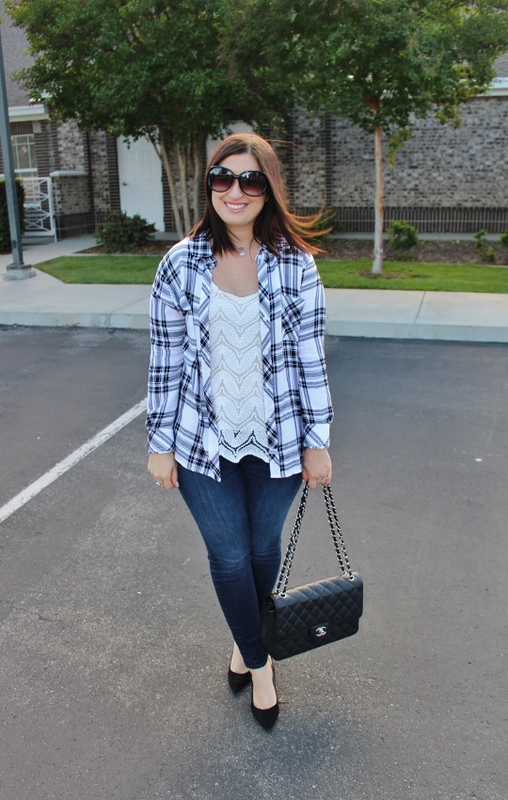 Your plaid and lace combo is perfect! I have always loved Rails plaid shirts! In love the way they make it look current and stylish rather than farmer-ish, and seeing as I'm not exactly a preppy dresser I'm biased to the non-preppy vibe as well. I wish you hadn't told me how soft and comfortable they are, I'm trying to resist the temptation! LOL. But I'm glad you got yours and that it's Nate-approved! 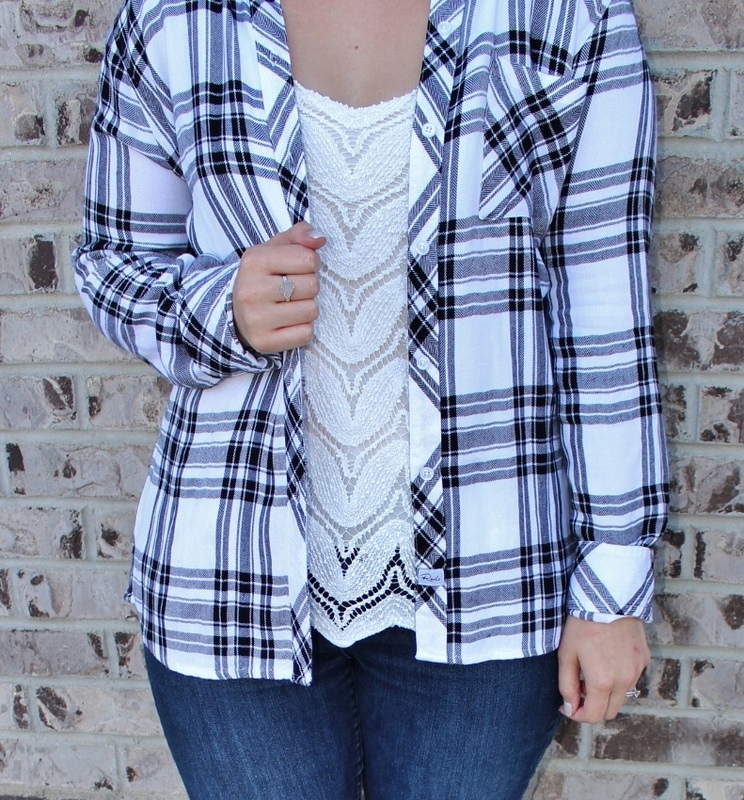 such a cute combo that I have to try and I've been wanting a rails plaid forever! This is a pretty dope combo girl! I really like the contrast of the plaid against the lace. I love your heels! Love this look! I'm obsessed with plaid shirts and have been wondering if the Rails ones were worth the money. Kinda sad to hear that you think they are lol. Now I may need to buy one myself.